12: The guild war will end automatically in 12 hours after started. It may have up to 3 minutes delay. A lot of work has been put into this. 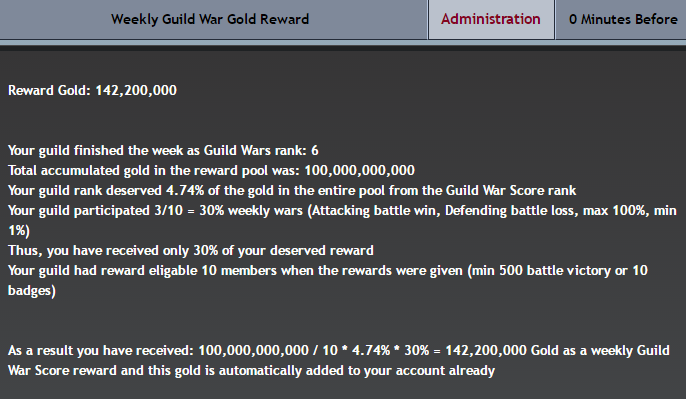 I am happy to see guilds are taking a huge place in the game and community. This should attract more players for more exciting battles. So far, I have no queries about the system or any contributing ideas for improvements or updates. I like it, I believe it'll work efficiently.